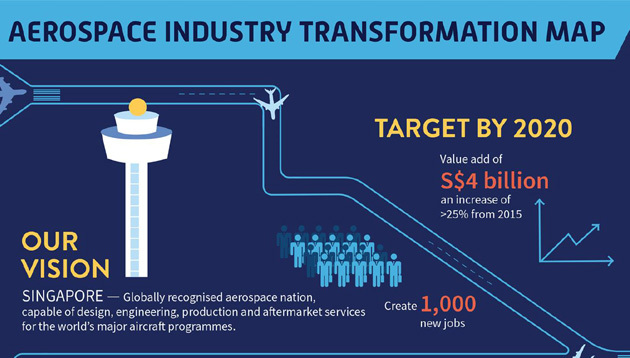 Launched yesterday (17 Jan), the Aerospace Industry Transformation Map (ITM) is expected to help the industry achieve an additional S$4 billion from manufacturing and introduce 1,000 jobs by 2020. Launched by S Iswaran, Minister for Trade and Industry (Industry), in conjunction with the 10th anniversary of the Seletar Aerospace Park (SAP) at the JTC Aerospace Networking Night, the ITM was developed by a multi-agency team together with industry partners, unions and trade associations to map out strategies that will build the aerospace industry of tomorrow. To prepare Singapore to capture the growth opportunities in the aerospace industry, the ITM has identified three key thrusts – pursuing operational excellence, driving innovation in emerging technologies, and equipping Singaporeans with relevant skills. 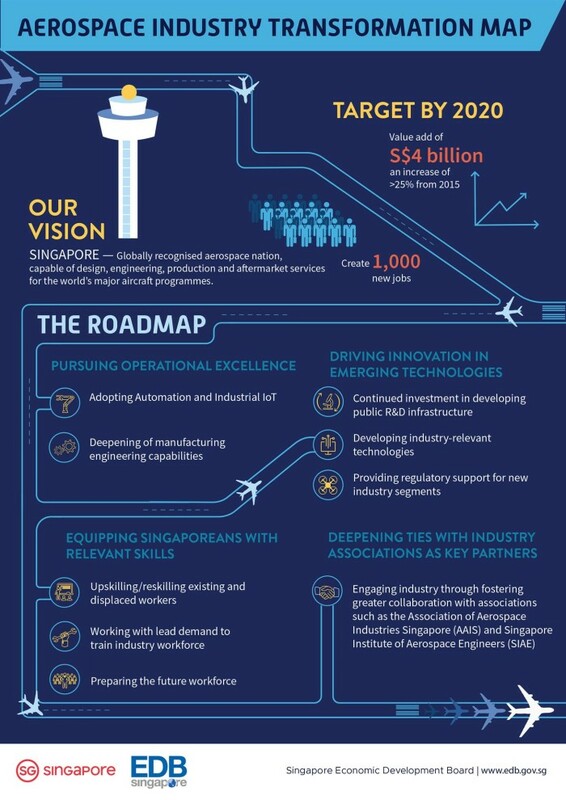 Apart from this, the government also aims to deepen ties with industry associations including the Trade Associations and Chambers (TACs), the Association of Aerospace Industries Singapore (AAIS), and Singapore Institute of Aerospace Engineers (SIAE), as well as unions, including those from the NTUC Aerospace and Aviation Cluster, to transform the industry. Elaborating on the skills portion of the ITM, to equip Singaporeans with the necessary skills that will allow them to take on new job scopes and employment opportunities, the government has launched a Skills Framework for Aerospace. 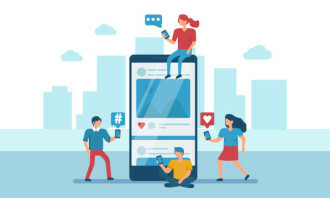 The framework is jointly developed by SkillsFuture Singapore (SSG), Workforce Singapore (WSG) and the Singapore Economic Development Board (EDB), with inputs from industry stakeholders, unions, and education and training institutions. It covers 86 job roles and allows individuals to explore career growth opportunities along or across four different tracks within the sector – aircraft maintenance, fleet maintenance, aircraft engine/component maintenance, and manufacturing. The framework also provides key information on the sector, including current and emerging skills and competencies, and the relevant training programmes for each job role. 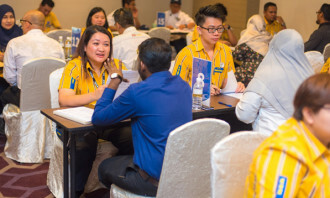 At the same time, Singapore’s Institutes of Higher Learning (IHLs), together with research institutes and private training providers such as A*STAR’s Singapore Institute of Manufacturing Technology (SIMTech) and TUM Asia, are working closely with the industry to curate and deliver bite-sized industry-relevant modules in emerging areas under the SkillsFuture Series. Temasek Polytechnic will also be rolling out two new SkillsFuture Earn and Learn Programmes (ELPs) in Robotics and Automation and IIoT, which are contextualised to the needs of the aerospace industry. WSG has also put in place programmes such as the Professional Conversion Programme (PCP) – including two new PCPs for Aerospace Officers and Aerospace Executives – which aims to equip mid-career PMETs for new careers in growth industries. Additionally, JTC has signed a Memorandum of Understanding (MOU) with AAIS, aerospace companies, as well as the polytechnics and Institute of Technical Education (ITE) to collaborate on a new series of aerospace student outreach initiatives that aims to develop a pipeline of future-ready talent. The initiatives are expected to benefit some 1,500 students from the aerospace engineering courses annually.